Home > Blog > Christmas Offer 8 December 2014. 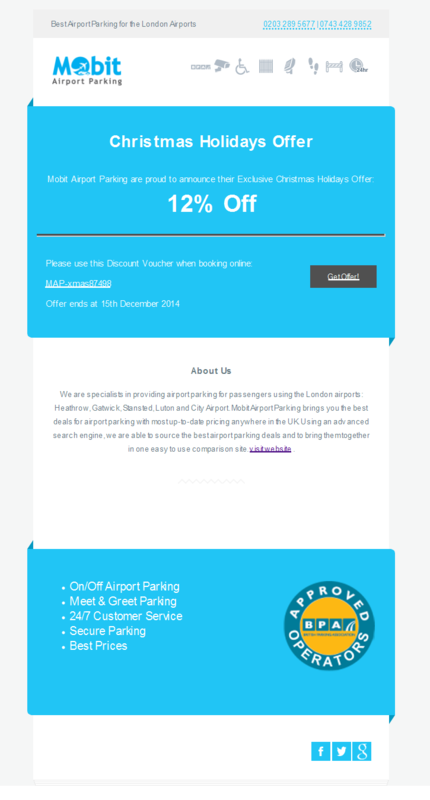 Christmas Offer 8 December 2014. Previous PostWelcome to MobIT Airport Parking.Next PostSteer Clear of Hazy Airport Parking. Hi there, here every one is sharing these kinds of familiarity, therefore it's fastidious to read this webpage, and I used to visit this website every day.